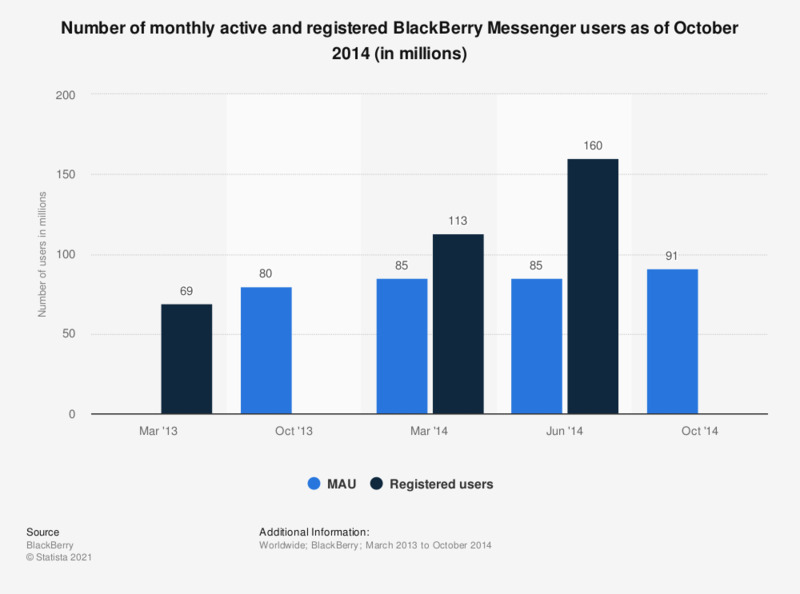 This statistic presents the number of monthly active and registered BlackBerry Messenger users. As of October 2014, the mobile messaging service had 91 million monthly active users. Until 2013, BBM was proprietary to only BlackBerry devices. Monthly active users not always reported.